CREW respectfully requests that the White House revoke the temporary security clearance given to Senior Advisor and Assistant to the President Jared Kushner until his application for permanent clearance can be adjudicated. 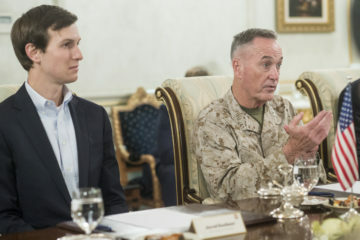 Kushner’s access to classified information, even on a temporary basis, appears to represent a security threat under the executive orders and administrative guidelines governing eligibility for access to classified information. Mr. Kushner failed to disclose multiple contacts with Russian officials and other foreign governments in his initial application for a security clearance, raising security concerns and questions about Mr. Kushner’s candor. 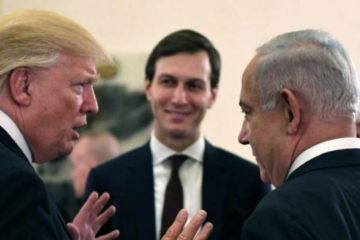 Mr. Kushner’s role in President Trump’s campaign and transition also is being examined as part of the criminal probes being conducted by the FBI and Special Counsel Robert Mueller. Additionally, the extensive business interests Kushner has retained while serving in the White House have raised further concerns about his suitability for access to classified information. Kushner is entangled with foreign business interests, his family’s businesses have sought substantial foreign investments, and Kushner reportedly is being targeted by China and possibly other countries, who may be using his business interests and foreign contacts as a means to influence him. Accordingly, Kushner’s temporary clearance should be revoked immediately in light of the substantial national security risk that he presents until his application for a permanent clearance is adjudicated. Failure to revoke Kushner’s temporary clearance would set a dangerous precedent for these other cases by signaling a willingness to tolerate unacceptable national security risks. Presidential adviser Jared Kushner appears to have violated the Hatch Act.